If you need a great looking theme to showcase your photos, look no further. Picus makes it extremely easy for you to setup your website in a matter of minutes. 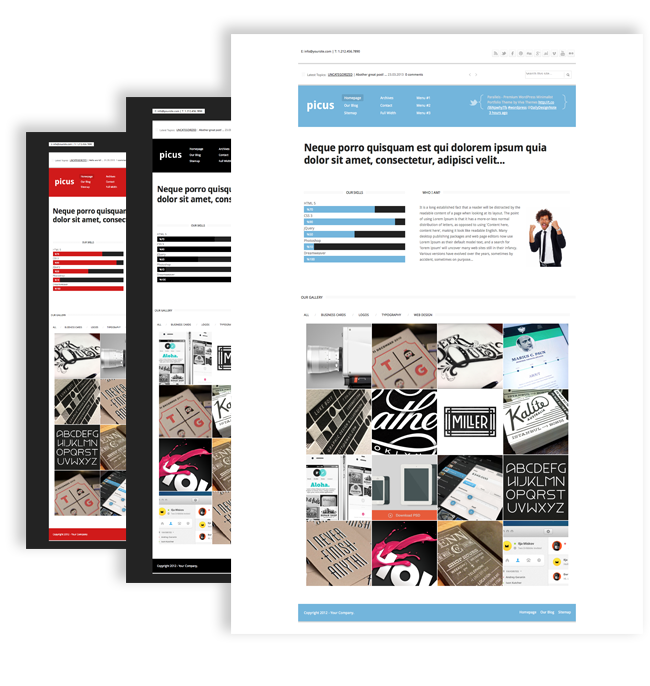 The Picus WordPress theme ideal for photo blog, photography sites. This theme comes very special overviews like super easy theme options panel, social media and search engine friendly, custom “skills” and “about me” sections, custom post types, WordPress 3.5 and all modern browsers compatible!